Effortlessly simple, our Atalanta collection provides amazing value for money with a simple, romantic design. 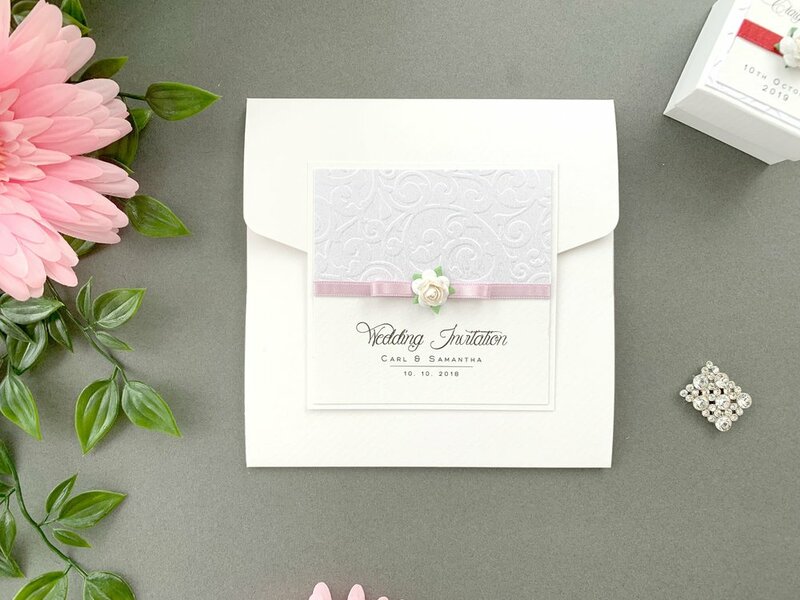 We combine luxury cardstock with innovative design, using a pearlised panel which is embossed using a pretty pattern. Beneath this is a strip of satin ribbon fashioned into a bow, using a Mulberry paper flower. Both ribbon and flowers are colour-customisable for a multitude of schemes. We exclusively use Berisford and Satab ribbons for our fully-handmade collections, with a huge amount of colour choices on offer and a non-fray, double-sided finish. For this design we use 6-7mm ribbon and in the pictured examples we’ve used “Light Mauve”. The choice of colours available can be seen by clicking below. 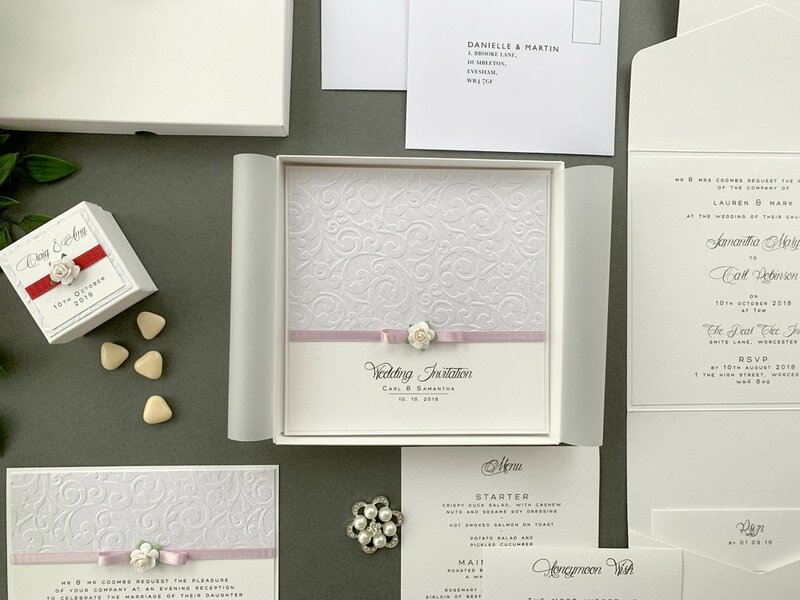 This design uses paper flowers which are available in a number of colour choices; we’ve used “White” in the pictured examples. Click below to see the choices currently available. Our Atalanta collection uses layers of Italian textured cardstock for its design alongside double-sided satin ribbon, Mulberry paper flowers and pearlised paper.